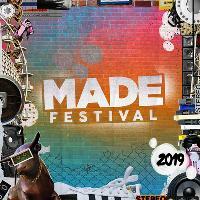 MADE x Aftadark : The Official MADE Festival After Party, featuring 5 rooms of unique music at one of the city's best loved underground venues! To buy tickets for this event please visit the events page: MADE After Party event tickets. Expect: Bass Music, Drum & Bass, House, Garage, Tech House +much much more! 5 Rooms of Music, Full Line Up TBA!